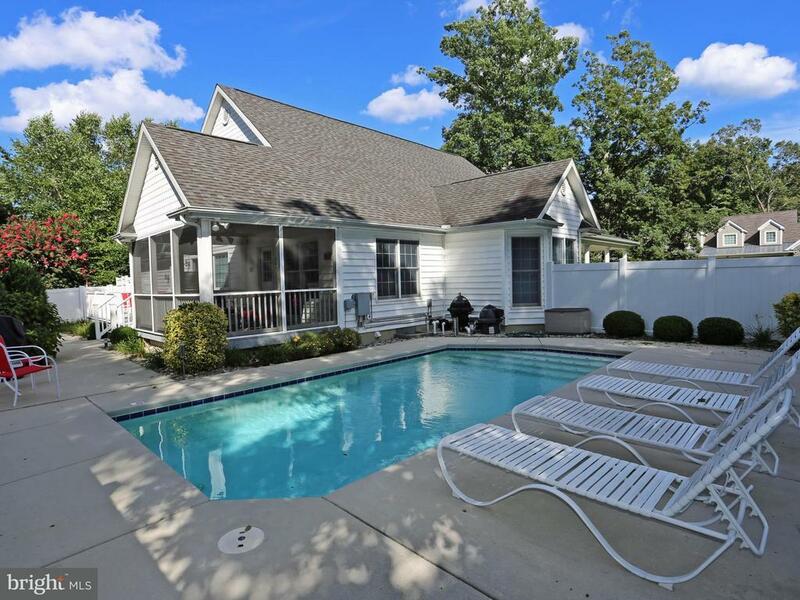 4BR home with Private Pool in Canal Corkran with proven rental history. Features Include Inlaid H/W Floors, Gas Fireplace, Kitchen opening to screened porch, deck and pool plus Pond Views from the front porch. Enjoy the comfort and luxury of this home with three bedrooms on the first level and one large bedroom and bath upstairs. There is a large 2 car garage with room for bikes to use on the adjacent bike path between Rehoboth Beach and Lewes. Or bike to the beach and boardwalk.